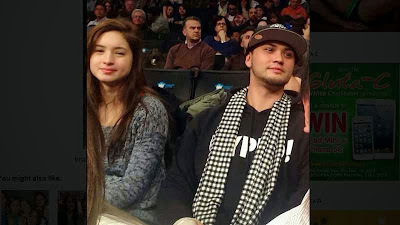 Singer-host Billy Crawford and Coleen Garcia are now dating as what Billy said to his interview with “Buzz ng Bayan” on Sunday, January 12, 2014. He admitted the issues of 'courting' Garcia. Billy said, "Yes, nililigawan ko. She is not my girlfriend yet, and I would love for her to be." The international singer finally ended all the issue and accusations between him and Coleen Garcia. And together with this revelation, he also clearly stated that Coleen Garcia is not the third party between him and former girlfriend Nikki Gil. He said, "I kept my mouth shut. I didn’t talk. I think that was my fault. But ako, pinanindigan ko ‘yung sa akin and kung ano ang alam ko, and Coleen is definitely not part of my past relationship at all." For the meantime, If you feel that this story are informative, please bookmark it now or visit this site more often for you to be updated. You may also share this post to your friends so they may know about Billy Crawford and Coleen Garcia. Comments or suggestions about "Billy Crawford and Coleen Garcia confirmed dating" is important to us, you may share it by using the comment box below.